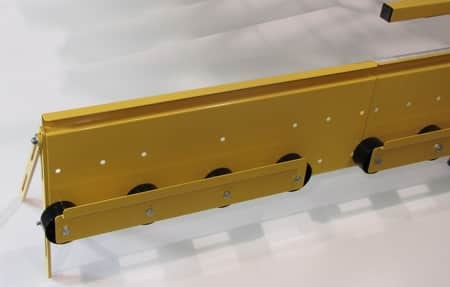 Fully adjustable and sold as a pair (left side and right side) the Mid Fence adds a 28" detachable shelf to each side for material support at waist height to your panel saw. 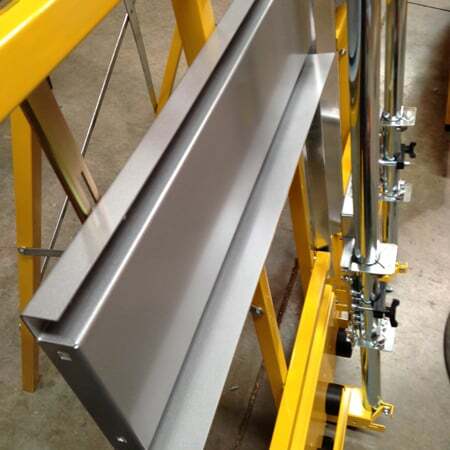 All steel construction – No warping or splintering! Holds material under carriage so you don’t have to. 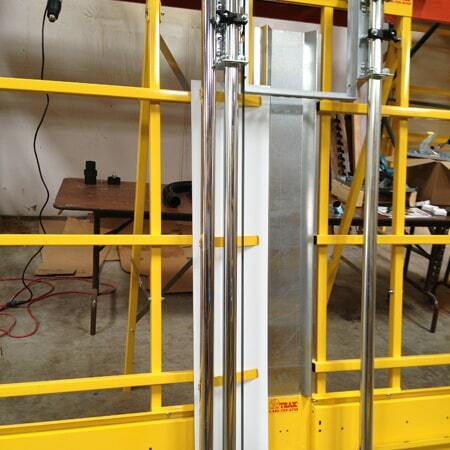 Especially handy with cutting long narrow pieces on the material rollers or long pieces on the mid fence. A magnet is used to hold it open and a different magnetic strip holds it onto the center pan. Easily removable when rip cutting. NOW 4 feet in length! Holds thinner materials against frame for more material support. Recommended for materials 1/4″ or less. Does not have to be removed when cutting thicker materials.